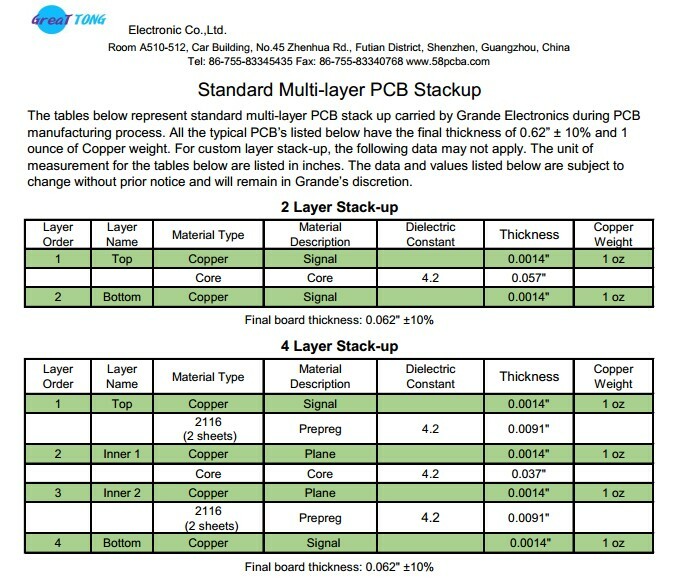 The tables below represent standard multi-layer PCB stack up carried by Grande Electronics during PCB manufacturing process. All the typical PCB’s listed below have the final thickness of 0.62” ± 10% and 1 ounce of Copper weight. For custom layer stack-up, the following data may not apply. The unit of measurement for the tables below are listed in inches. The data and values listed below are subject to change without prior notice and will remain in Grande’s discretion.